Angie is an artist, animator and author based in Brighton, UK. She studied Fine Art at Edinburgh College of Art and has enjoyed a twenty-year career producing animation, visual effects and motion graphics for television and film. You can see Angie talk about her work here in this candid interview with John Dickinson from Motionworks. Motionworks | Unplugged with Angie Taylor from Angie Taylor on Vimeo. Angie now dedicates her time to personal creative work and supports this by writing books and making video training regarding digital art, design and animation. Angie also lectures at Brighton Art College and provides bespoke consultancy and training in Adobe After Effects and other creative software applications. Recent clients include Skype, Bloomberg, BBC, Channel 4, Channel 5, Carlton, B Sky B & MTV. Angie also works in the software industry as a product specialist, regularly touring with companies including Adobe and Apple at international trade shows and conferences like NAB, IBC, Flash on the Beach and Macworld. The author of three successful books. The “Creative After Effects” books (version 5 and 7), published by Focal Press, and a third book, “Design Essentials for the motion media artist” which is also published by Focal Press. to find out about booking Angie to speak at your event please contact her directly via the Contact page. 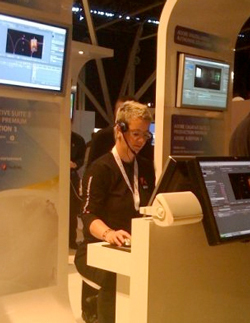 Examples of Angie’s design and animation work include visual Effects on the multi-award-winning short film “Hibernation“, directed by John Williams, who was the recipient of two awards for excellence in advertising at Cannes. 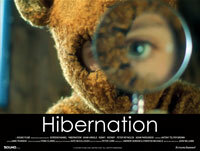 Hibernation from John Williams on Vimeo. She has also designed animations with UK-based design house, D-Fuse for a ground breaking DVD album for the US musician, Beck. 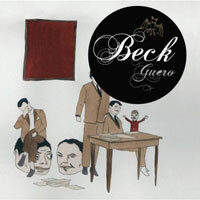 Angie collaborated with D-Fuse on a series of animations for a game, and for the ground – breaking DVD album, “Guero”. Angie worked with Chris Cunningham and Warp Records on “Rubber Johnny” a collaboration with Aphex Twin. Aphex Twin – Chris Cunningham – Rubber Johnny from TB303 on Vimeo. Angie worked as animation assistant, creating morphing animations in Adobe After Effects with the Revision Reflex plug-in. Here’s a recent piece of motion graphic design, created for Brighton based comapny, Online Creative. Sony Edit from Angie Taylor on Vimeo. You can see more examples of Angie’s work here on Vimeo.